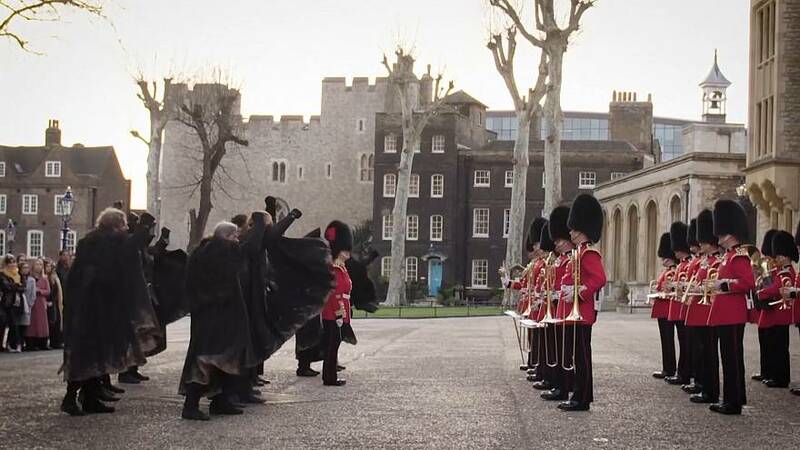 Tourists who visited the Tower of London were treated to an unusual "Game of Thrones" theme on Tuesday. The Coldstream Guards played a version of the series' theme tune, while the actors performed with swords. The final season of this popular series will be on air this April 15.